Thanks to the proliferation of digitized records on the internet, it's now more possible than ever to discover the stories of your ancestors who lived in another country. This difficult yet rewarding task is a landmark accomplishment for any genealogist - researching in another country is an exciting and rewarding adventure. This is part III in our guide to finding the birthplace of your Irish & British ancestors. We highly recommend you only begin researching in your ancestor's country of origin after you have located some key information about them in US records. Hopefully, with persistence and skill, you have uncovered all of this information - but if not, it still may be possible to locate your ancestors in Ireland or Britain. As you did with your search in the US, begin by trying to locate prior research. Keep in mind that PERSI is an international index, and while it does have many US publications, it also has a significant number of Irish and British genealogy periodicals. Assuming you know the location, definitely brush up on some local history of your ancestors geographic area. You may very well find details about your family, but getting the "lay of the land" will give you an excellent background for researching this new area. Compiled genealogies and family histories can also be incredible finds, though the information must always be verified. You can find these in PERSI, or through online search engines like Google or WorldCat. 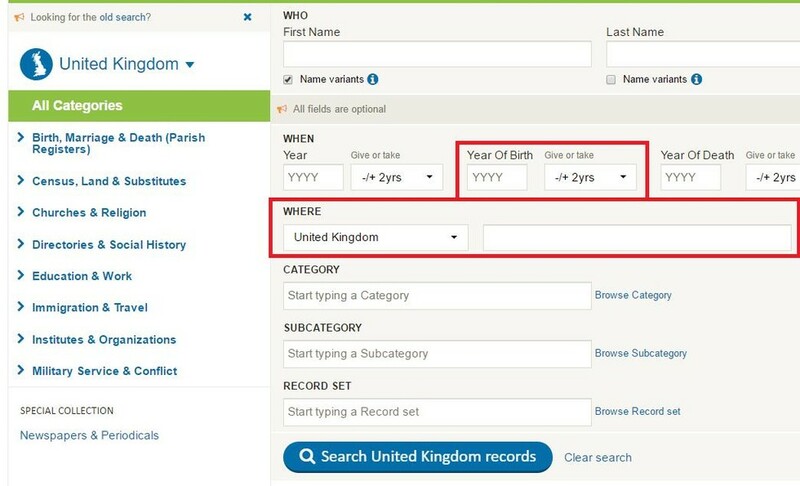 United Kingdom censuses will be useful for tracking your ancestors that came to the US after the middle of the 19th century. 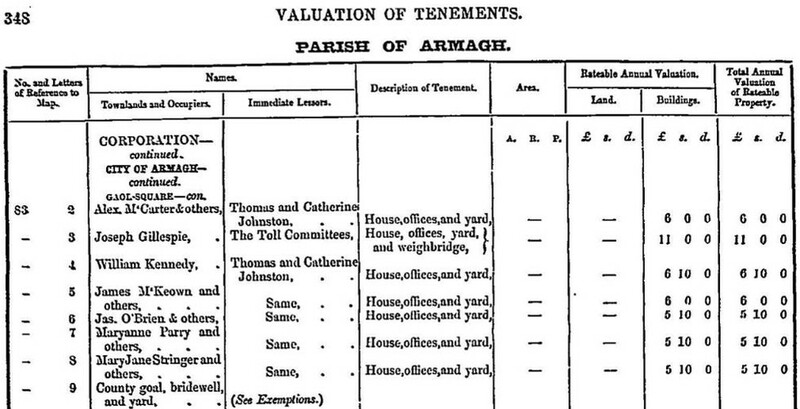 There are also local censuses available for certain areas for the late 18th and early 19th century. Earlier than that, UK parish records date back as early as 1538, and the United Kingdom kept extensive military records for all conflicts the Crown was involved in. And don't forget about newspapers! Journalism was born in England, and there are many UK newspapers with amazing detail about the local communities your ancestors lived in. Note: A general search will not query our newspaper database - make sure to choose "newspapers and periodicals" from our search drop-down menu located at the top of your screen. We also highly recommend uploading your family tree to our website. It's totally free, and our hints software will automatically scan our records for evidence of your ancestors. Since we're adding records all the time, this is especially useful - you'll get an email if your ancestor may be in one of our new record sets. Irish genealogy is particularly difficult thanks to the destruction of the public records office in 1922 - an tragic loss of records and human knowledge, and a particularly frustrating one for anyone with Irish roots. Almost all 19th century censuses (key documents for Irish-Americans) were destroyed in that event. Our mission at Findmypast is to locate any records we possibly can that provide evidence of our 19th century Irish ancestors. You will find evidence of your ancestors in court records, land evaluations, prison records, dog licenses & more. Not only do these kinds of records hold valuable genealogical information, they often help create a fuller picture of your ancestors' lives than you would find in traditional sources. Thanks to these uncommon and creative records, it's now more possible than ever to find your Irish ancestors in their original country. Our recently released collection of 10 million Irish Catholic parish registers should be your first stop if your family was that denomination. Because Irish immigration to America spans several centuries, the records sets to search in all depend on when your ancestors immigrated. Make sure to read our breakdown of the most valuable records sets for each period of immigration. All your hard work won't be worth much if you don't conclusively prove that these actually are your ancestors. Furthermore, if you plan to research the family line in Ireland or Britain further, you'll want to make sure that the foundation of your foreign research is rock solid. There are a number of ways to do this, and it's best to brush up on the genealogical proof standards to make sure your work is as thorough as possible. Informally, one of the best ways to do this is to know the other members of the household. If you know your ancestor's parents names and siblings, you can be reasonably confident that when you find the whole bunch in the same household in the proper time and place, you have the correct ancestors. If you have made it this far and successfully found your ancestors, congratulations! If you would like to share your story with us, shoot us an email at testimonials@findmypast.com. The next few articles in our series deal with common problems encountered in this endeavor - ancestors who made multiple trips back and forth across the Atlantic (more did this than you might realized) and some help locating colonial immigrants to America (immigration and ship records can be slim for this time period, but there's a handy workaround if you know your history).